JCK posted an article yesterday about an upcoming Sotheby’s auction that will feature several rare and beautiful pieces of jewelry. A Cartier bracelet made of conch pearl, enamel, and diamonds will be auctioned this month in Geneva. The stunning bracelet once belonged to Queen Victoria Eugenia of Spain, and carries an estimate selling price of $800,000–$1.4 million. 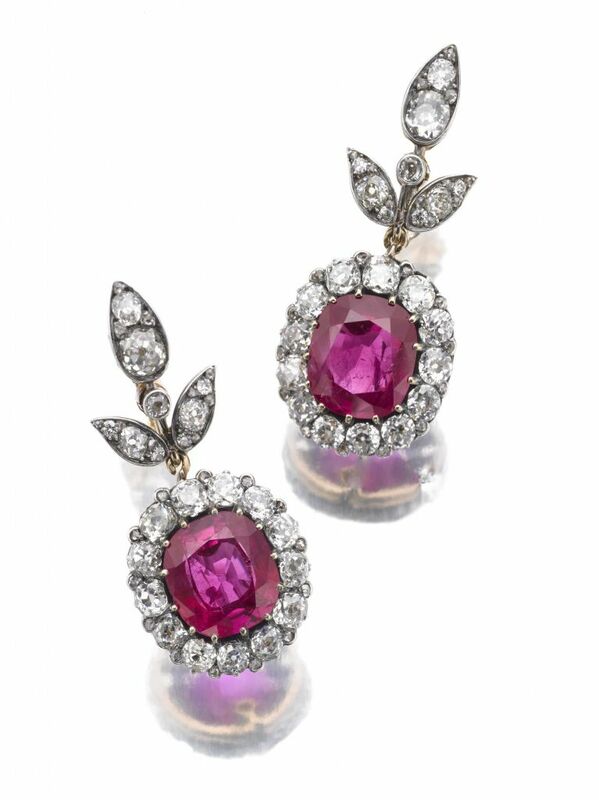 Other highlights of the auction include a pair of ruby and diamond pendant earrings with matched 11 cts. t.w. Burmese rubies. These sparklers are estimated to sell for between $1.4 million–$2.5 million. 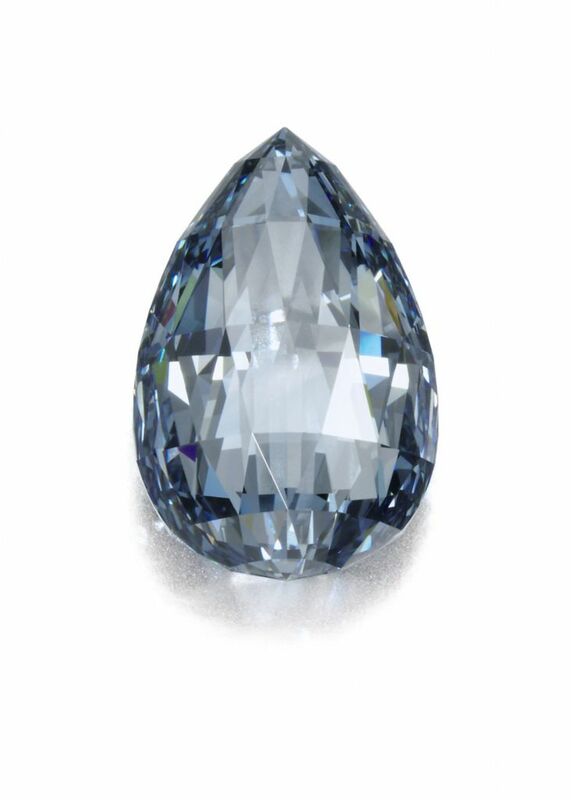 Fancy blue diamonds are very rare, and the auction will feature an exceptionally rare 10.48 ct. briolette cut that is considered flawless. The drop-shape diamond pictured below is estimated to sell between estimate $3.5 million–$4.5 million. We’ll post an update after the auction to tell you the final selling price of these stunning items. Sotheby’s will be auctioning off 35 pieces from the jewelry collection of Estée & Evelyn Lauder, in their upcoming Magnificent Jewels auction on December 5, 2012. The Proceeds will benefit the Breast Cancer Research Foundation, founded and championed by Evelyn Lauder. The collection will be traveling though out the month of November to Los Angeles, London, Geneva and back to New York on the first of December where there will be an exhibition until the day of the auction. Additional pieces from the Lauder collection will also be auctioned at the Important Jewelry auction in February 2013. 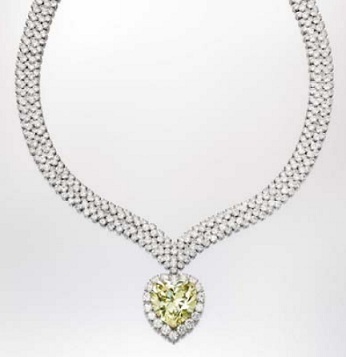 Some of the pieces of jewelry that are included in the December auction are a necklace set with a heart-shaped, 47.14-carat fancy intense yellow diamond. Made in 1978 by Van Cleef & Arpels, the necklace once belonged to the Duchess of Windsor and has a bid estimate of $1.5 – $2 million. Another piece from the collection is a 6.54-carat fancy intense pink diamond ring by Oscar Heyman & Brothers, which belonged to Evelyn Lauder. 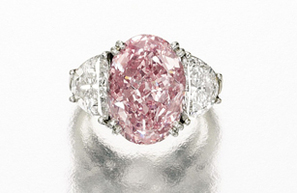 The ring has a bid estimate of $4 – $5 million. To see a slide show of some of the featured pieces Click Here. Or if you happen to be in New York City the first week of December, check out the exhibition of the Estée & Evelyn Lauder Jewelry Collection.